On Odin's orders, Thor, Balder, and Tyr have kidnapped Loki and Sigyn's three children and have locked them away to prevent them from fulfilling their destiny. In a fit of rage over the loss of his family, Loki murders Odin's favorite son Balder. As punishment, he is bound to a tree on Earth with the keys to his children's prisons dangling just out of reach. Thousands of years later, Caleb and his girlfriend Rachel bring their children Ashley and Rick into the woods to hunt for a rare floral specimen. When they discover an unfortunate man tied to a tree, they have no idea what horrors they are about to unleash. 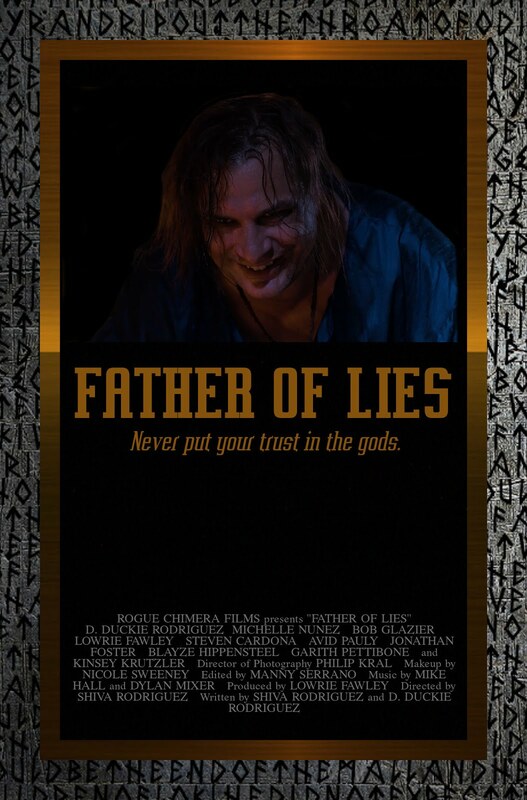 "Father of Lies" is a fantasy-horror story based on Viking mythology. Set in both the present and the past, the tale unmasks the Norse gods for the cruel beings they are and illustrates that the line between what is good and evil is often blurred. 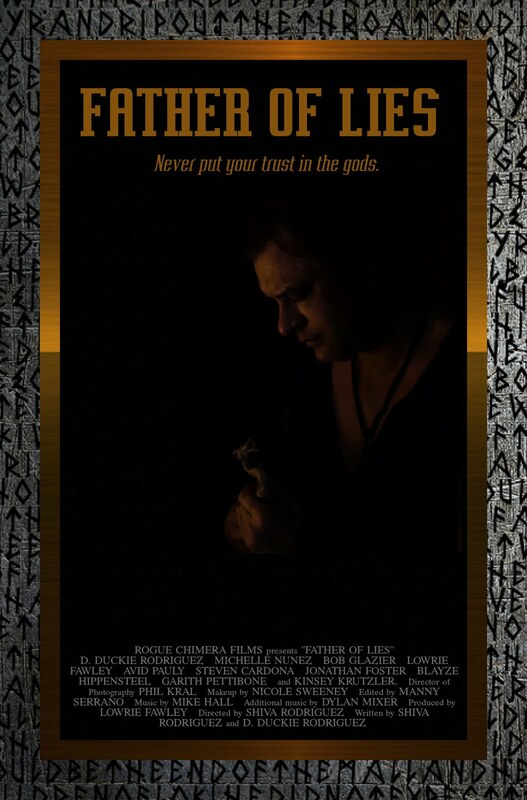 "Father of Lies" was written by award-winning screenwriters Shiva Rodriguez and D. Duckie Rodriguez who share a love for mythology. Produced by Rogue Chimera Films, this short film was shot in May 2018 in Florida and made its US festival premiere in October 2018. This film is currently screening at film festivals and has not yet set a release date.